The Licensing Group will represent Driver Digital’s Cool School YouTube channel. 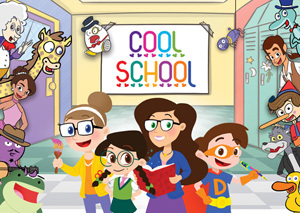 Under the Cool School umbrella are the live action series Story Time with Miss Booksy and Crafty, as well as the animated series The Adventures of Drew Pendous and His Mighty Pen Ultimate and Nikki’s Wiki. Cool School ranks among the largest kids’ properties on the YouTube platform when it comes to comments, shares, and overall interaction between the channel and fans. With more than a half billion views and nearly 500,000 subscribers, Cool School has attracted kids from around the world. Its success has led to brand integrations with brands such as Hasbro and Fox Pictures.